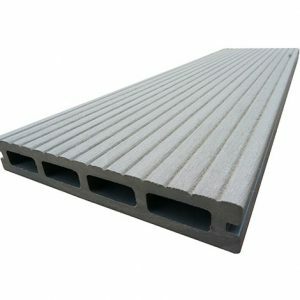 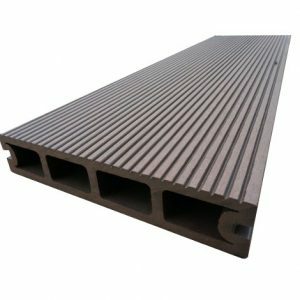 25mm x 140mm Hollow WPC Decking is composed of plastic(HDPE), wood and chemical additives in high temperature & pressure. 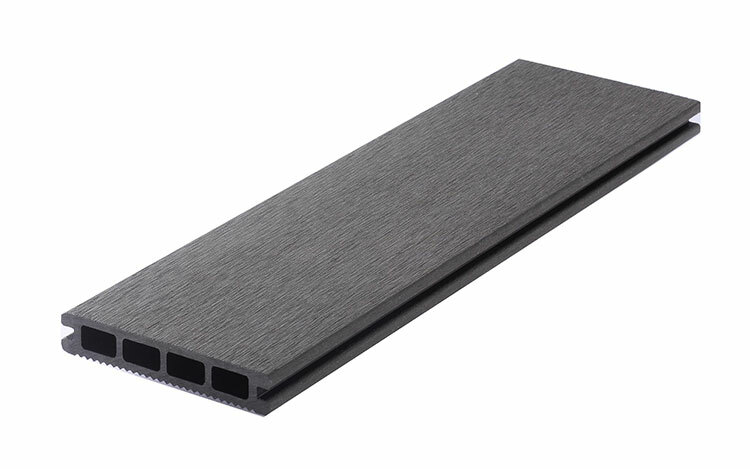 We are a large & professional manufacturer in Wood Plastic Composite decking which is composed of plastic(HDPE), wood and chemical additives in high temperature & pressure, and Techwoodn team has 15 years experience to produce and sell WPC outdoor products already. 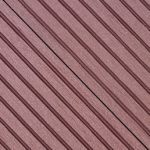 Our hollow decking board 25mmx140mm has narrowly spaced grooves on one side and a flat surface on the other, we recommend you to install the groove side up to get a robust anti-slip walking surface. 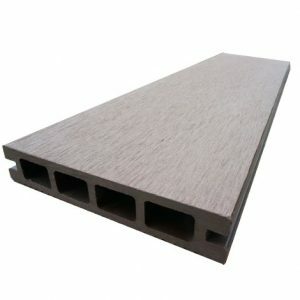 25mmx140mm hollow decking is suitable for the private places, like as gallery, garden, balcony, etc. 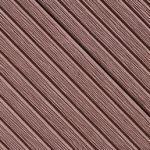 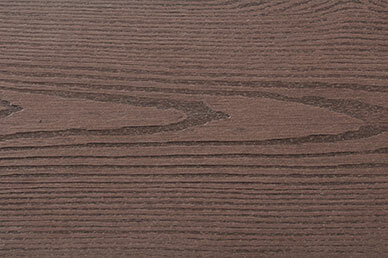 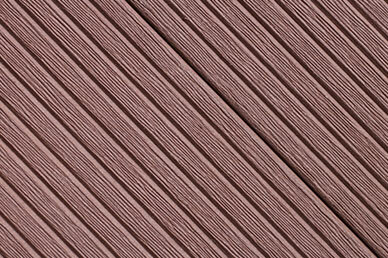 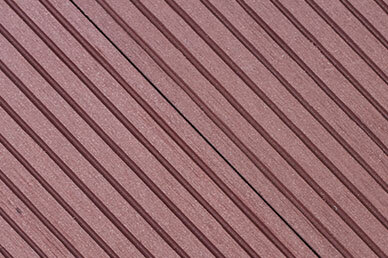 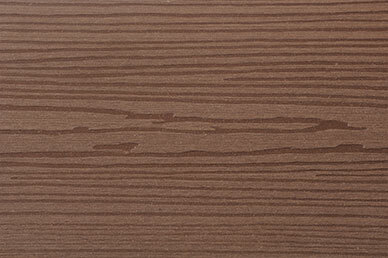 The color of 25mmx140mm hollow decking will fade by about 10% in the first few months of exposure to direct sunlight. 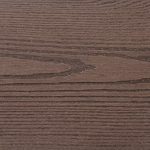 After this initial fading, there will normally be little noticeable color change.For day to day cleaning, loose dirt may be removed with a stiff brush and water if necessary. 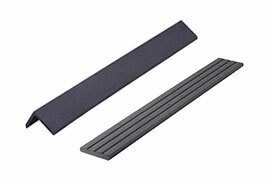 leaves or other debris falling between the wood slats can be removed by vacuuming. 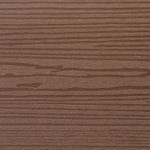 General cleaning with a broom or mop will suffice for most situations. 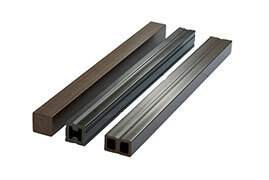 To ensure ventilation and water flow are the key to product quality assurance. 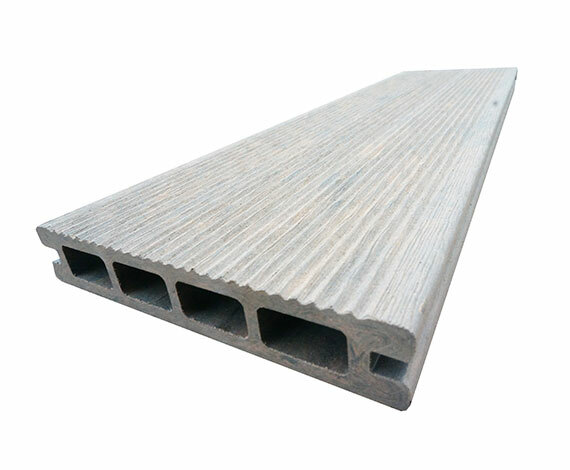 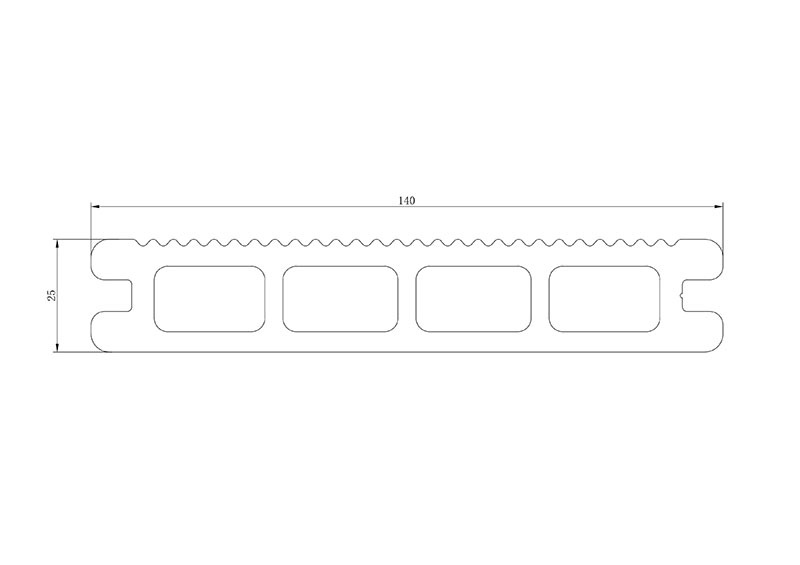 You must gap Techwoodn decking, both end-to-end and width-to-width. 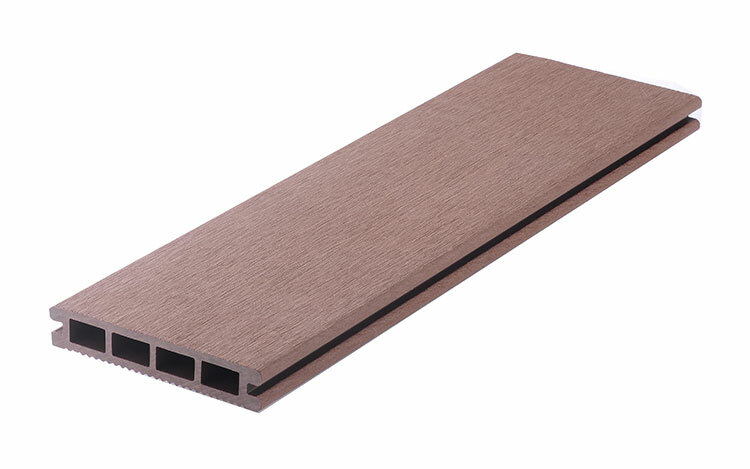 Gapping is necessary for drainage and the slight thermal expansion and contraction of Techwoodn decking boards. Mapping also allows for the shrinkage of the wood joist system.All decks require air circulation to keep them dry and looking good. 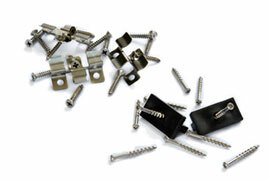 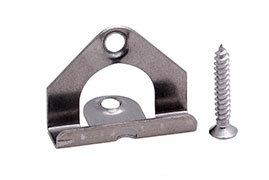 To improve air flow, leave openings under the decking or increase gapping to 10mm.When you use the recommended hidden fasteners, the placement of the hidden fastener established the designated gap size.When installing skirting, mapping rules must apply.Ensure deck has enough gaps in a very humid place, we recommend the width to width gap required is 6mm. 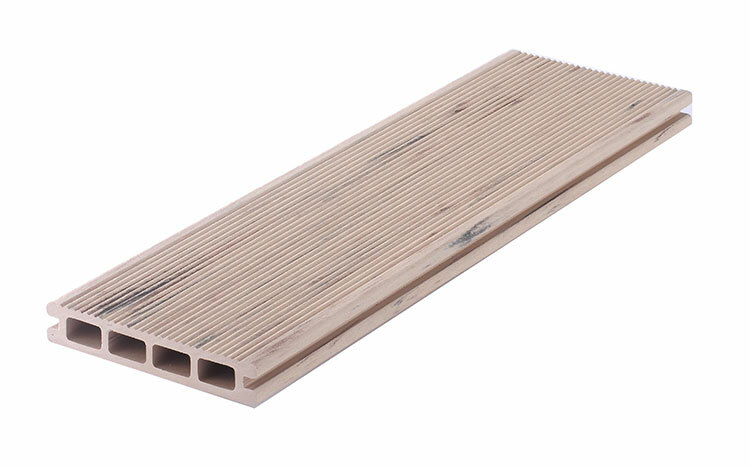 For cold weather installations, docks and heavily wooded areas, 9mm-10mm is recommended.Ensure ventilation and water flow, we need a great.If the humidity is not high and the temperature is stable, please install the grate at the beginning and end of the boards every 5m.